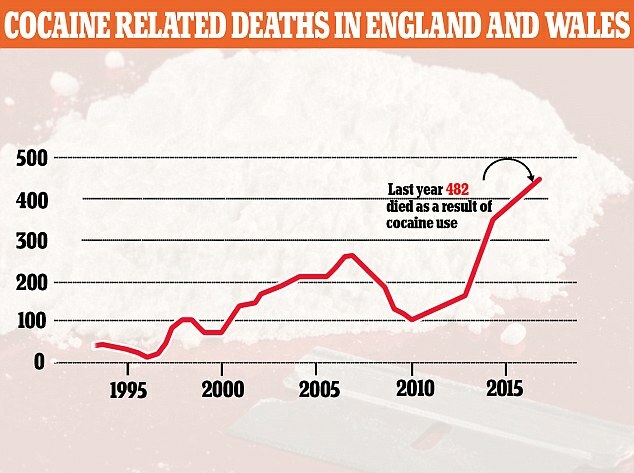 Deaths from cocaine misuse continue to rise. In 2017, this figure was 432 people compared to 112 in 2011. These are thought to be related to the increasing purity and reducing cost of the drug. To put this into context, that is two and a half times the deaths from road traffic accidents. Cocaine can cause heart attacks, strokes and heart failure especially when combined with alcohol and other drugs.